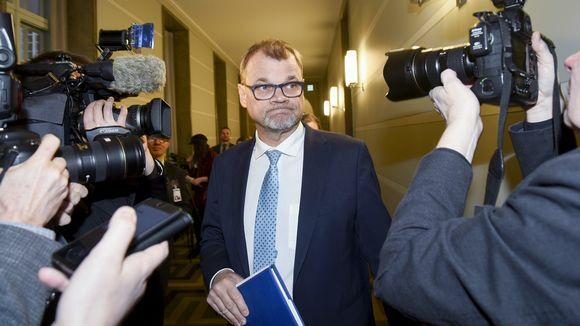 In its annual report on governmental financial policy, the Economic Policy Council said that employment figures clearly improved during Prime Minister Juha Sipilä's administration, which is coming to an end following parliamentary elections in April. According to the report, employment has increased and budget deficits have gone down since 2015 when Sipilä's government ascended to power. The report also noted that government reached its goal of boosting the employment rate to 72 percent in the autumn. The report also notes that the economy grew unexpectedly quickly during 2017 and last year. 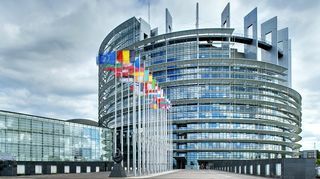 Thanks to increased exports and stimulus measures taken by the European Central Bank, strong growth was seen across Europe, as well, according to the report. "The government has almost reached its fiscal targets. The debt to GDP ratio has started to decrease and public finances will be almost balanced in 2019. The government has implemented the cuts to public expenditure which were planned at the beginning of the term. The 2017 and 2018 tax cuts were poorly timed from a business cycle perspective and the tax decreases over the government’s term, which were larger than planned, hinder efforts to stabilize public finances," the report reads. Social and health care reform effects "uncertain"
The report questioned how long-planned reforms to Finland's social and health care systems (colloquially called Sote) will play out in the long run. "The aims of the social and health care reform are ambitious, but in light of research its effects are uncertain. There continue to be no credible evaluations of how the reform will increase productivity to the degree that the savings target could be achieved without compromising quality or access. Central questions concerning the implementation of the reform remains unsolved." "The informational basis required for designing provider compensation models remains inadequate. Leaving occupational health care outside the reform makes designing compensation models more difficult and may increase costs. Some of the reform’s risks could be avoided with a more gradual expansion of freedom of choice," the report's authors said. The council also examined government's various experiments in the social security sector (like the Basic Income trial), the country's employment policy (the "activation model" programme) and in the social and health care sectors. "From a perspective of impact evaluation the design of the experiments leaves room for improvement. Learning from the experiments requires that the group participating in the experiment has a well-defined control group. The policies included in the experiments should be clearly delineated and also feasible as actual reforms. Better designed experiments would facilitate their use in supporting political decision making. Also possibilities for ex-post evaluation of reforms should be taken into account already in the legislative phase," the report reads. The Economic Policy Council, established in 2014, is an independent panel from the state research group VATT, the Institute for Economic Research. Members are appointed based on proposals from the economics departments of universities and the Academy of Finland. Council members include Professors Roope Uusitalo (council chair), Torben M. Andersen, Anneli Anttonen, Kaisa Kotakorpi and Mikko Puhakka. The current council's five-year term closes at the end of March.